Public health and nutrition policies that are claimed to be “science-based” are most often shaped by industry-paid academic scientists who deliver findings favorable to their corporate benefactors. “If, as seems increasingly likely, the nutritional advice on which we have relied for 40 years was profoundly flawed, this is not a mistake that can be laid at the door of corporate ogres. Nor can it be passed off as innocuous scientific error. What happened to John Yudkin belies that interpretation. It suggests instead that this is something the scientists did to themselves – and, consequently, to us. The promotion of sugar as “healthy and safe” and the denigration of saturated fat as “unhealthy” is a prime example of fraudulent science. Its foundation rested on a study conducted from 1958 to 1964 by Ancel Keys (“the original big data guy”) comparing the diets of middle aged men in seven countries – Italy, Greece, Yugoslavia, Finland, Netherlands, Japan and the U.S. – conducted. The findings showed a correlation between intake of saturated fats and deaths from heart attacks. However, the selection of the countries in the study and those omitted should have raised red flags about bias: left out were France and West Germany whose populations had low rates of heart disease despite a diet rich in saturated fat. “The paper, it turns out, was funded by a trade association representing the makers of Butterfingers, Hershey, and Skittles. And its findings were touted by the group even though one of its authors didn’t seem to think much of it. One of the industry’s most powerful tactics is the funding of nutrition research. It carries the weight of academic authority, becomes a part of scientific literature, and generates headlines. The authors of the candy paper have written more than two dozen papers funded by industry groups; and their studies delivered favorable conclusion for those funders. An independent review of 168 industry-funded studies found that 156 of those studies showed favorable results –i.e., “health claims” that are usable for marketing purposes. “Hot oatmeal breakfast keeps you fuller for longer,” declared a Daily Mail article on a study funded by Quaker Oats… Study: Diet beverages better for losing weight than water.” CBS Denver story about research funded by Coke and Pepsi’s lobbying group. “As nutrition debates raged in the 1960s, prominent Harvard nutritionists published two reviews in a top medical journal downplaying the role of sugar in coronary heart disease. Newly unearthed documents reveal what they didn’t say: A sugar industry trade group initiated and paid for the studies, examined drafts, and laid out a clear objective to protect sugar’s reputation in the public eye. 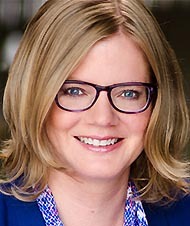 That revelation, published Monday in JAMA Internal Medicine, comes from Dr. Cristin Kearns at the University of California, San Francisco, a dentist-turned-researcher who found the sugar industry’s fingerprints while digging through boxes of letters in the basement of a Harvard library. Her paper recounts how two famous Harvard nutritionists, Dr. Fredrick Stare and Mark Hegsted, who are now deceased, worked closely with a trade group called the Sugar Research Foundation, which was trying to influence public understanding of sugar’s role in disease. The trade group solicited Hegsted, a professor of nutrition at Harvard’s public health school, to write a literature review aimed at countering early research linking sucrose to coronary heart disease. The group paid the equivalent of $48,000 in 2016 dollars to Hegsted and colleague Dr. Robert McGandy, though the researchers never publicly disclosed that funding source, Kearns found. Hegsted and Stare tore apart studies that implicated sugar and concluded that there was only one dietary modification — changing fat and cholesterol intake — that could prevent coronary heart disease. Their reviews were published in 1967 in the New England Journal of Medicine, which back then did not require researchers to disclose conflicts of interest. That was an era when researchers were battling over which dietary culprit — sugar or fat — was contributing to the deaths of many Americans, especially men, from coronary heart disease, the buildup of plaque in arteries of the heart. Kearns said the papers, which the trade group later cited in pamphlets provided to policymakers, aided the industry’s plan to increase sugar’s market share by convincing Americans to eat a low-fat diet. 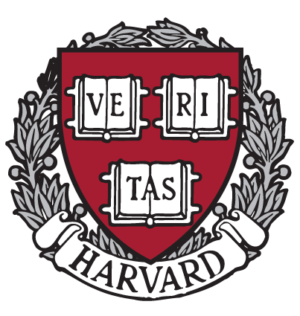 As they worked on their review, the Harvard researchers shared and discussed early drafts with Mr. Hickson, who responded that he was pleased with what they were writing. The Harvard scientists had dismissed the data on sugar as weak and given far more credence to the data implicating saturated fat. “Let me assure you this is quite what we had in mind, and we look forward to its appearance in print,” Mr. Hickson wrote. In the 1960s, Dr. John Yudkin, a UK nutritionist, was conducting research into the deleterious effects of sugar. In those days – to the present – nutritional orthodoxy held that the arch dietary villain was saturated fat – low-fat diets became the mantra of nutrition science and public health dietary recommendations. In 1972, he published Pure, White and Deadly in which he outlined the results of his scientific findings showing that sugar and carbohydrates – not fat — raised blood levels of triglycerides increased the risk for heart disease in rodents, chickens, rabbits, pigs and students. Sugar also raised insulin levels, linking it directly to type-2 diabetes. 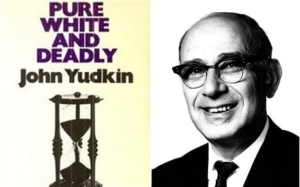 Clearly, Dr. Yudkin and the book—which sold well – posed a threat to the processed food industry which has been pumping sugar into most processed foods, including baby food. The World Sugar Research Organization described the book as “science fiction.” A concerted vilification campaign was orchestrated by industry and several prominent nutritionists who sought to destroy his reputation. Ancel Keys was the most vicious vocal character assassins who succeeded in marginalizing and discrediting Dr. Yudkin, whose career never recovered. He died, in 1995, a disappointed, largely forgotten man for the next 50 years, as was his book. As a result of this concerted vilification campaign, other scientists were dissuaded from publishing anything negative about sugar for fear of being attacked. And the low-fat food industry, with its products laden with sugar, boomed – as obesity charts hit stratospheric heights. “In 1980, after long consultation with some of America’s most senior nutrition scientists, the US government issued its first Dietary Guidelines. The guidelines shaped the diets of hundreds of millions of people. Doctors base their advice on them, food companies develop products to comply with them. Their influence extends beyond the US. In 1983, the UK government issued advice that closely followed the American example. The most prominent recommendation of both governments was to cut back on saturated fats and cholesterol (this was the first time that the public had been advised to eat less of something, rather than enough of everything). Consumers dutifully obeyed. We replaced steak and sausages with pasta and rice, butter with margarine and vegetable oils, eggs with muesli, and milk with low-fat milk or orange juice. But instead of becoming healthier, we grew fatter and sicker. 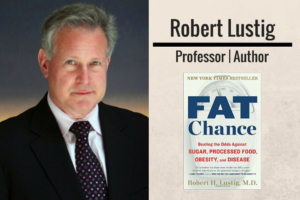 In 2009, Dr. Yudkin’s scientific work was acknowledged as “prophetic” and groundbreaking by Dr. Robert Lustig, a professor of pediatric endocrinology at the University of California, who specializes in treating childhood obesity, who brought Dr. Yudkin’s work to light. Posted by Vera Sharav | Friday, September 30, 2016 |	Categorized Fraud, Corrupt Practices | Tagged Dr, John Yudkin, Dr. Robert Lustig, Harvard nutritionist, academic bribery, sugar industry Bookmark the permalink.